When the Imam of the time was killed on the sands of Karbala, Lady Zaynab protected the legacy of martyrdom and defended the Imamah of Imam Sajjad. 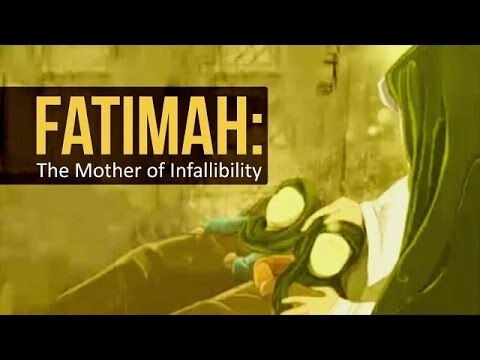 Following the footsteps of Zaynab bint Ali is Fatimah Mughniyah, whose father and youngest brother achieved martyrdom. A very emotional, very powerful clip. 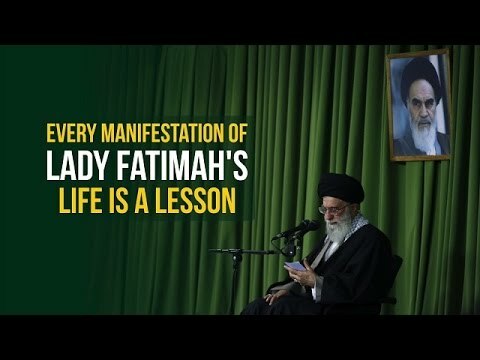 Lady Fatimah was married to Imam Ali at age 9 and was martyred at around 18. In those 9 years of marriage, she raised an Ummah while her husband fought in almost 60 wars. Have we even begun to understand the value of the dust on the feet of the slave of the slave of Lady Fatimah Zahra (A)? Syeda Fatimah Zehra, Punjtan Series By Sayyedi Ayaz Mufti. A tribute by a Hanfi Sana Khan. Pictures of Crack in the wall of KA'ABAH. Al-Imam Ali ibne Abi Talib (a.s), son-in-law, cousin and the first infallible successor of holy Prophet Muhammad bin Abdullah (s.a.w.a.w) was born on Rajab 13 in the Holy Ka'abah (House of Allah) in the holy city of Makkah, Saudi Arabia. His mother Fatimah Bint Assad (s.a), at the time of his birth, was called to the holy Ka'abah and as she came close to it, the wall of Ka'abah became cracked and she was ordered by Allah to enter it. 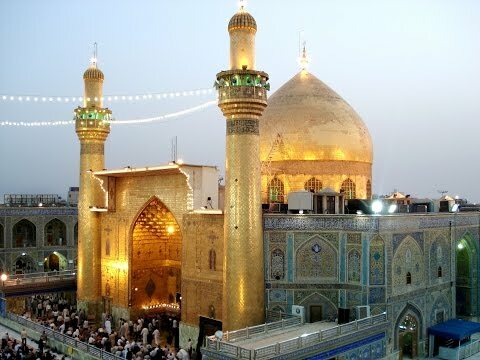 There Imam Ali (a.s) was born and she remained guest of Allah for three days there. After three days she came out of Ka'abah holding little Imam Ali (a.s) in her lap. Every year on Rajab 13, the cracks became new recalling everyone the miracle. For centuries, the Saudi governments have been trying every treatment to conceal these cracks but failed. 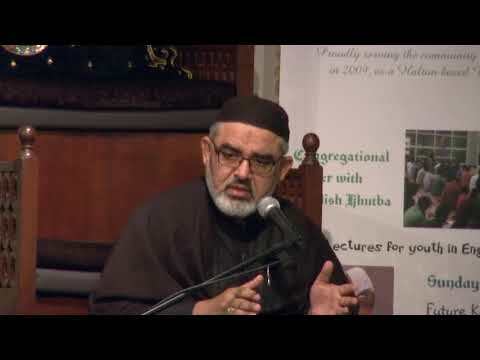 Dr. Tariq Al-Kateb, who was included in the committee that entered Ka'abah to treat the cracks that became new every year,says that from inside holy Ka'abah there are very clear signs of Fatimah bint Assad (s.a)'s entrance and then exit. Allahuma Salle Ala Muhammad WaAle Muhammad. Every Friday Imam al Mahdi atf reads the Amaal of his followers and cries very much. He really wants to come and fill the world with Justice but our sins are preventing him from coming. He is ready to come but we are not ready for him. It is said that whenever we salute him in Ziyarah he comes to greet us but our sins prevent him from reaching us. Can you imagine how much we hurt Imam Mahdi atf? We must try our best to be good Muslims and prepare for his return. May Allah sbt give us all he oppertunity to assist him in his divine mission. Ameen. This is a ‘meccan’ surah. It is narrated from Imam Ja’far as-Sadiq (as) that the person who recites this surah in any of his prayers, will drink from the fountain of Kawthar. The reward for reciting this surah is compared to ten times the number of cattle slaughtered on Eid-ul-Adha every year until the Day of Resurrection. When the Holy Prophet\'s (saw) son, Tahir, born to Khadijah al Kubra, died, Amr bin As and Hakam bin Aas taunted the Holy Prophet (saw) by calling him “abtar” (tail-less), whose progeny has been cut off. This surah was revealed to give glad tidings to the Holy Prophet (saw) that abundance of unbounded grace, wisdom and knowledge, mercy and goodness, spiritual power and insight, in highest degrees, and of progeny has been given to him. It is mentioned in Sahih Bukhari, Sahih Muslim, Musnad of Ahmad ibn Hambal and other books of renowned Sunni scholars that the Holy Prophet (saw) said: “Kawthar is a stream of super excellence, exclusively belonging to me. Only the righteous believers (among my followers) will be allowed to drink from it. Ali shall distribute the water from it to them. On the day of judgement I will see some of my companions driven, like cattle, away from Kawthar. It will be announced that they are those who, after my departure from the world, deviated from the true religion and introduced innovations (based upon conjecture) to corrupt the faith.” From that day Imam Ali (as) was known and referred to by the companions as “saqi al kawthar”. “Kawthar” also means abundance of descendants. The countless descendants of the Imams of the Ahlulbayt (as), in the progeny of Imam Ali (as) and Syeda Fatimah (sa) are known as sayyids. They are the descendants of the Holy Prophet (saw). 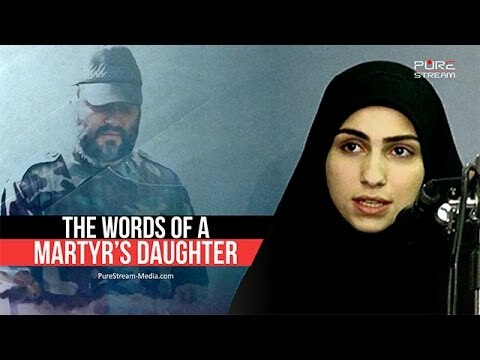 Speech by the daughter of the Martyr Abdul Al Rasul Hassan Ali with subtitles in Indonesian.